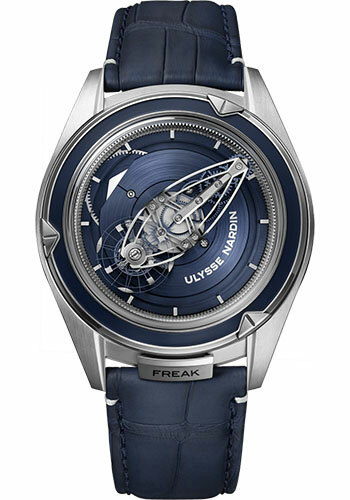 45mm platinum case, transparent back, sapphire crystal, CVD blue dial, Caliber UN-250 Grinder automatic winding movement with hour and minutes indicated by the rotation of the movement, approximately 50 hours of power reserve, blue leather strap, folding buckle. Water resistant to 30m. 45mm platinum case, transparent back, sapphire crystal, CVD blue dial with gold threads Coral Bay pattern bonding on the spring barrel bridge, Caliber UN-250 Grinder automatic winding movement with hour and minutes indicated by the rotation of the movement, approximately 50 hours of power reserve, blue leather strap with gold bar tack loop stitches, folding buckle. Water resistant to 30m. Produced on-demand, contact us for estimated delivery time. 45mm platinum case, transparent back, sapphire crystal, CVD blue dial with hand painted red lacquer Coral Bay pattern on the spring barrel bridge, Caliber UN-250 Grinder automatic winding movement with hour and minutes indicated by the rotation of the movement, approximately 50 hours of power reserve, blue leather strap with red bar tack loop stitches, folding buckle. Water resistant to 30m. Produced on-demand, contact us for estimated delivery time.